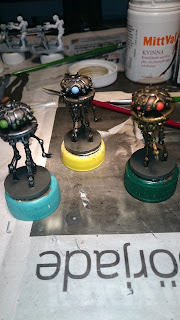 The 3 droids from the set. I used 3 different metallics as base (bronze, silver and gun metal), with appropriate washes and drybrushes, The gun metal one even has some patches of rust). Different colours for the leds/lenses as well. From the Imperial side, there's only Lord Vader left, as well as the 4 bounty hunters and 3 ferocious animals. Oh, and the AT-ST. And then there's all the rebels of course... 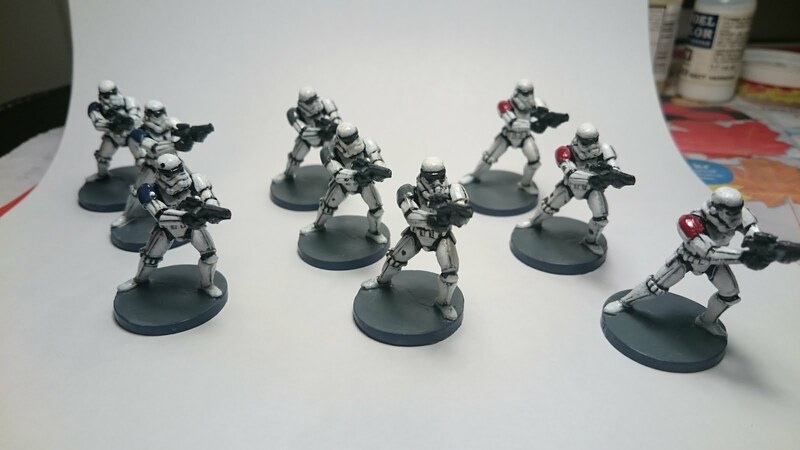 I got them all undercoated, will try and finish them soonish.